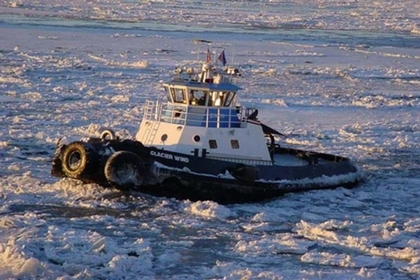 Built in 1997, by Tri-Star Marine Incorporated of Seattle, Washington (hull #108) as the Glacier Wind for Cook Inlet Tug and Barge Anchorage, Alaska. A division of the Anderson Tug and Barge Company of Anchorage, Alaska. Powered by two, Cummins KTA-38 diesel engines. She is a tractor tug, rated at 2,200 horsepower. The tug's capacities are 17,000 gallons of fuel, and 2,000 gallons of water.